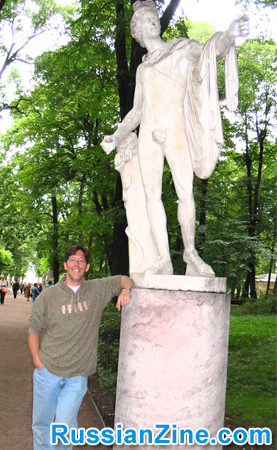 The beauty of St. Petersburg is reason enough to visit, but that it’s home to the Hermitage – a museum rivaled only by the Louvre in Paris – vaults it into Must-See status. 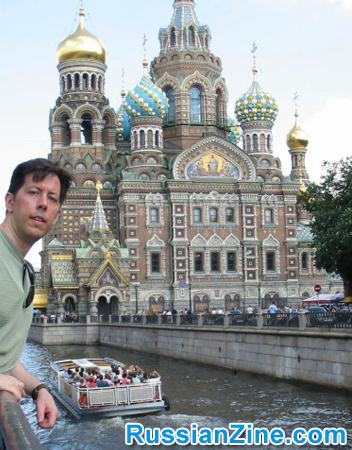 Compared to Moscow, the prices in St. Petersburg are much more reasonable. Although I still prefer the value, flexibility, and “local feel” of renting an apartment, I’m considering a hotel on my next visit. The Corinthia Hotel St Petersburg, a five star hotel, looks like a particularly good value with rooms seeming to go for less than $200/night. 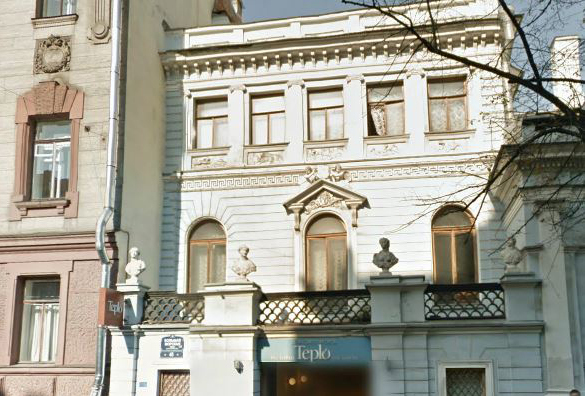 I’d also consider Grand Hotel Europe (you can’t beat its location in the center of Nevsky Prospect. ), and the SAS Radison. But as always, to find an apartment to rent, just Google “St. Petersburg apartments to rent” or a similar search term. Just make sure you’re within walking distance of Nevsky Prospect. 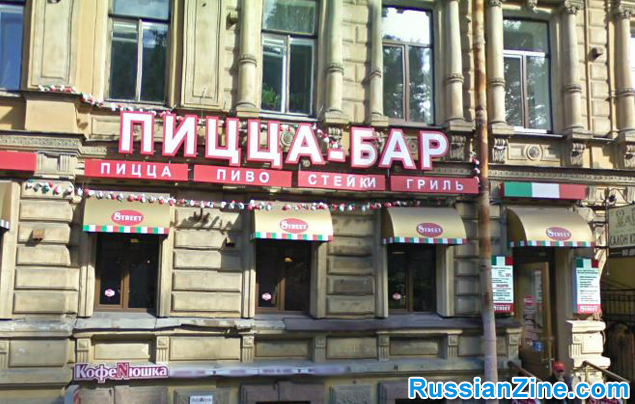 St. Petersburg’s cuisine is getting much better. Along with the standard Russian fare of the meat and potatoes variety, you can now find a broader array of dining experiences there. Teplo: Teplo is the Russian word for “warm” which is a good description of the feeling here. It feels very homey. I always ordered their delicious potato pancakes — which come with Buko cheese, red caviar and smoked salmon. 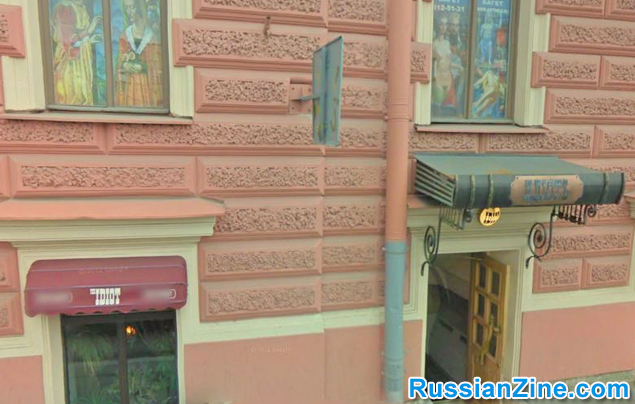 Sever (СЕВЕР): This little place (at 44 Nevsky Prospect) is easy to miss, but it’s across the street from Nevsky’s main shopping area, Gostini Dvor (that long yellow building. See photos.) It’s a classic, Soviet-era cake shop and worth waiting in the inevitable line. St. Petersburg has an excellent (and cheap) subway system. But unless you’re traveling with a friend who knows Russian, it’s best to learn to read Russian’s Cyrillic alphabet before you go. (You can learn to read Russian in a weekend.) Short of getting to one of the palaces outside the city limits, the subway will suffice for just about wherever you want to go. 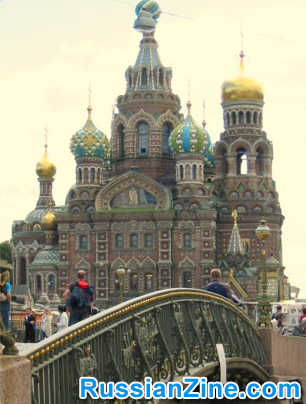 If you prefer to travel by taxi, make sure you catch one from one of the hotels on Nevsky. It’s sure to be metered, ensuring an accurate fare. (Church) Savior on Spilt Blood: This is the one you see in all the pictures, with the colorful onion domes, reminiscent of St. Basil’s in Moscow. 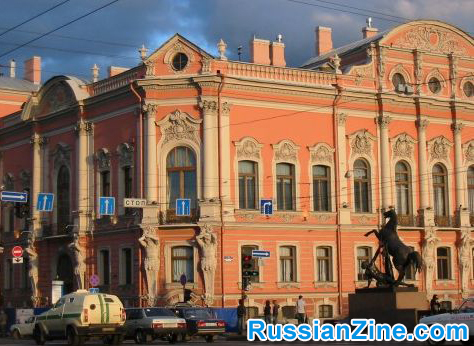 Though not directly on Nevsky Prospect, you won’t miss it as you walk the street. It’ll be just down a side street (and along a canal) to your right as you approach the Neva River. Make the trek up to and around the cathedral itself. There’s a very photogenic bridge on the opposite side. St. Isaac’s Cathedral: If you’re only going to enter one cathedral in St. Petersburg, this would be my choice. 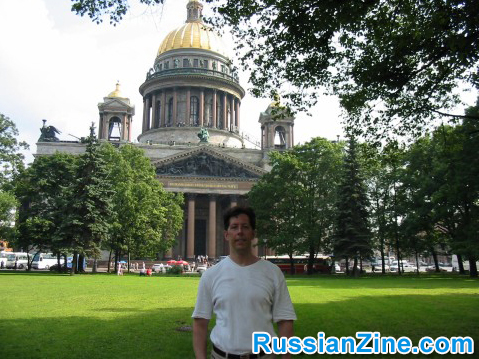 (The runner-up being the Kazan Cathedral mentioned below.) Be sure to get tickets so as to go up to the cupola up top. It offers a great view of St. Petersburg. Kazan Cathedral: This doesn’t actually seem like a cathedral from the street. With all those columns, it looks more like an official building of some sort. 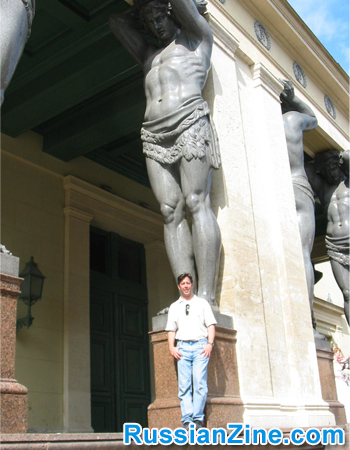 (This was before I’d traveled to Rome, and realized they were imitating St. Peter’s cathedral at the Vatican.) There never seems to be a line to get in to the Kazan Cathedral, so I’d pop in almost every time I walked past, to cool down, and marvel at the size of it. If you’re lucky, you’ll catch a choir singing in Russian! Peter and Paul Fortress: Of all the tourist sites in St. Petersburg, you could probably skip this one. Some would disagree and consider it a must-see, if only for the cathedral on the grounds where the Tsars are buried. I’m simply saying, if time is short, this is probably the place you can save until your next visit. 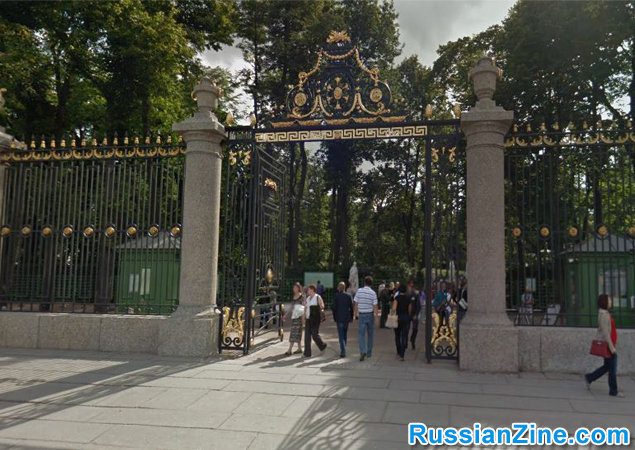 Summer Gardens: After leaving the Hermitage Museum (also known, by the way, as the Winter Palace), head towards the river (just behind the museum) and turn right. That road will take you to the summer gardens. (Look for the gates in the photo.) Grab an ice-cream from one of the sellers in the park and wander the paths admiring – you got it – more art. 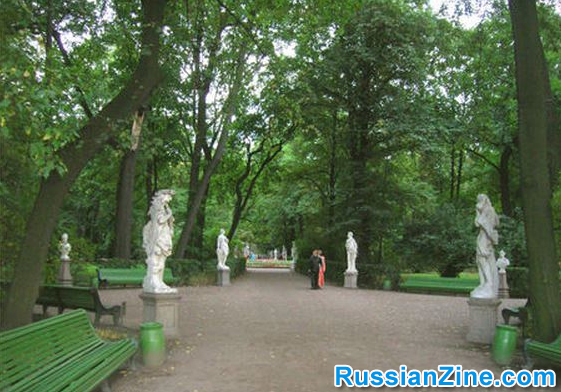 This park, more than anything else in the city, symbolizes St. Petersburg to me: Art everywhere you look. The romantic river and canals. People sitting and reading (St. Peterburg residents are extremely literate as are Russians in general). Gostini Dvor: This isn’t a mall in the western sense, so it’s worth going in even if you’re not shopping for anything. Red Fox Jazz Club: Not all nightlife needs to center around dancing to techno music. If you’d prefer to sit and listen to excellent live jazz, I’d recommend St. Petersburg’s Red Fox club. Be aware: It’s easy to get to, but hard to find (because the club and their sign are fairly small.) (See the photo to know what you’re looking for.) 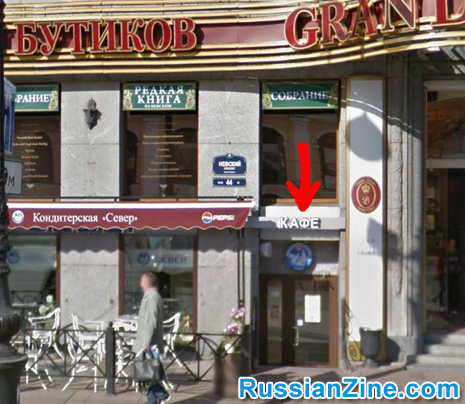 Address: Chernyshevskaya metro station, Mayakovskogo St., 50. You’ll need your walking shoes for this, but for a unique experience of St. Petersburg, take a stroll through the “Neighborhood of Dostoevsky.” It’s an old town area in the district called Admiralteisky, near Hay Square. There you’ll find old houses and streets, Venice-like canals (Griboedov, Moika, Kriukov), and the “spirit” of Old Peter. Previous: Why travel to Sevastopol Ukraine? Next: Why Travel to Yalta, Ukraine?